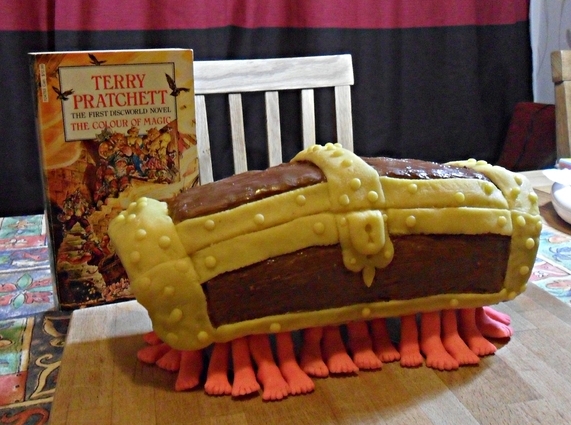 Thanks to everyone who entered our first virtual Edible Books Contest! We were delighted at the number and range of entries, and I think we’ll plan to do it again next year! Check out all of the entries in the gallery. 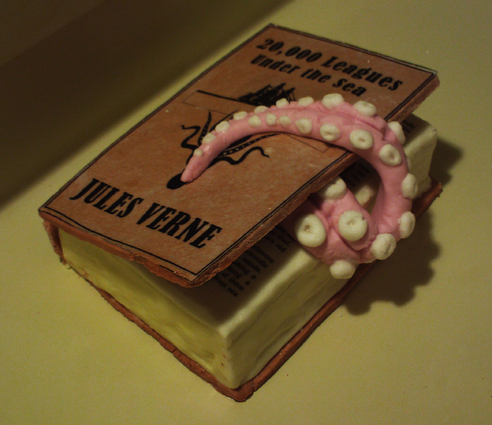 The grand prize goes to TheCriticalTimes for this edible version of Jules Verne’s Twenty Thousand Leagues Under the Sea, made of sponge cake and edible paper, complete with fondant Kraken. 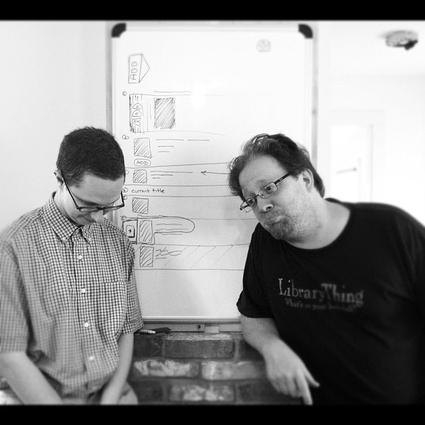 Along with the honor and fame, TheCriticalTimes wins an LT t-shirt, stamp, and sticker, plus a CueCat and three lifetime gift memberships to LibraryThing! We picked two runners-up: both will win their choice of an LT t-shirt, stamp, or CueCat, plus two lifetime gift memberships. 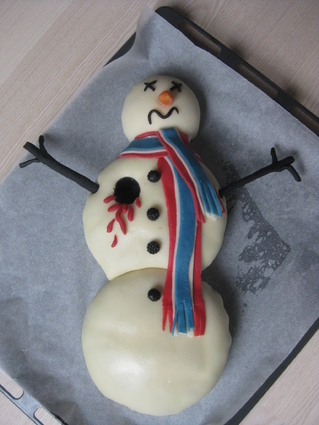 The runners-up are Unexpected, for “The Luggage,” from Terry Pratchett’s Discworld series (chocolate cake with marzipan and “lots of little pink icing feet”) and mellu for this take on Jo Nesbø’s The Snowman, made of marzipan (with a real carrot nose!). 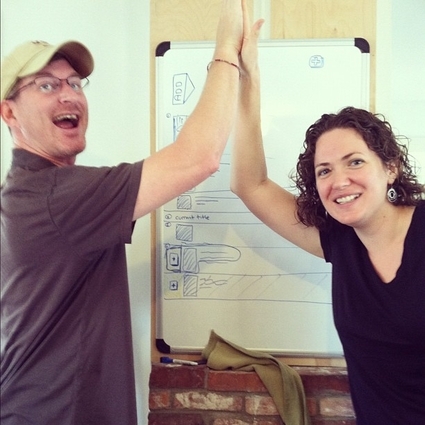 We also chose a couple of Honorable Mention winners; each will receive a lifetime gift membership. These are infomagnet for War and Pizza, and exlibrislady for the delicious-sounding (and looking!) 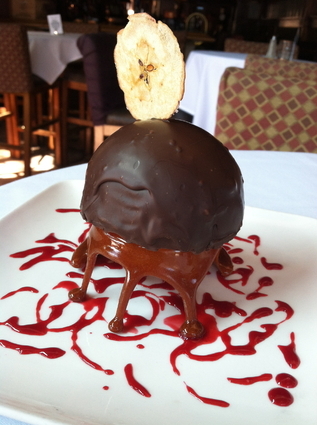 Gregor and the Apple (“a crunchy peanut butter mousse covered in a hard chocolate shell on caramel feet. The plate is garnished with raspberry coulis and a single apple crisp. It must be eaten in a grey, bleak building while the rain falls dispassionately outside”). Congratulations to our winners, thanks again to all the entrants, and watch for an announcement next spring for our second Edible Books contest! 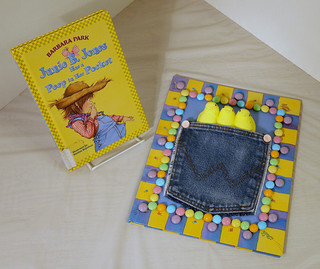 Quick reminder: we’ll be accepting new entries for our Edible Books Contest until 4 p.m. EDT on Thursday, May 10. See the contest announcement for all the details on entries, rules, prize information, etc. Or check out the entries submitted so far in the photo gallery.